MEC's mission is to build a sense of statewide community - and we'll be coming your way very soon! 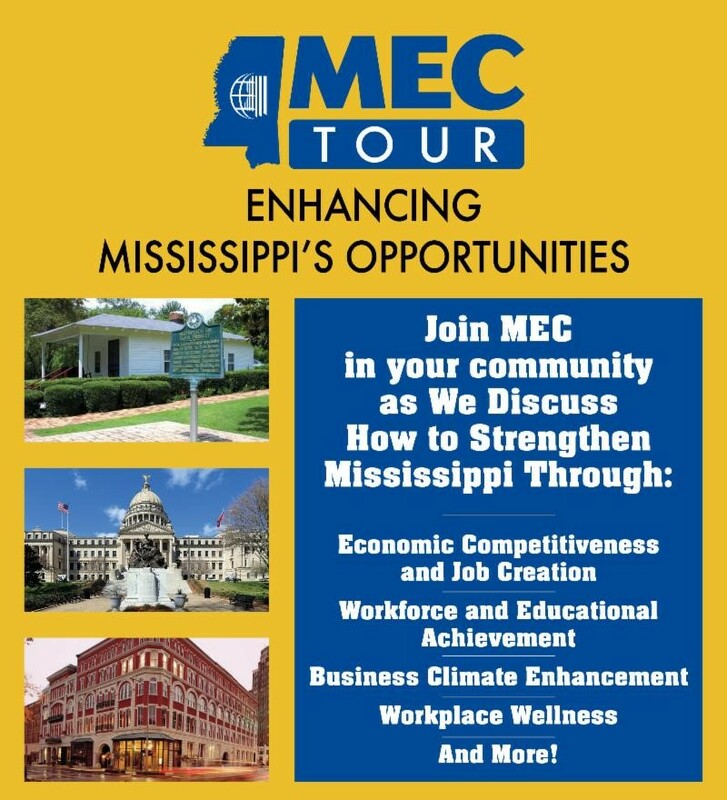 This year, the MEC Tour will visit 20 locations around Mississippi, helping connect business leaders, community advocates, and elected officials at both the state and local level - and working together to make Mississippi a great place to live and do business. MEC needs YOUR input, feedback, and insight into how we can make Mississippi a great place to live and grow! The MEC Tour will focus on Enhancing Mississippi's Opportunities.